Doing our part to help the environment by "holding up" this boulder at Garden of the Gods. We can't wait to get back to the Rocky Mountains. It's been a while since we've been out to these BIG mountains and we know from past trips that this adventure will be one to remember! (Of course, we say that about all of our adventures, close to home and far away. We'll bag at least one 14,000 ft. mountain on this trip, but not by foot. We'll get to the top of 14,110 ft. Pike's Peak via cog railway. You'll love this special "train" and the cog system is the only way the train can make it up something this steep. The views going up and down are spectacular. We'll make base in three main areas during this trip: Denver (which will probably be our gateway city), Manitou Springs (next to Colorado Springs), and Estes Park which is home to Rocky Mountain National Park. As with all of our trips, we stay in motels/hotels and have our dinners in sit-down restaurants. It's the way to travel! Hiking in Rocky Mountain National Park where we'll take several hikes into the heart of the park to discover this natural wonder where the valleys are about 8,000 feet above sea level and the peaks rise several thousand feet higher. Take the cog railway up to the top of Pike's Peak where we'll enjoy a cup of hot chocolate and a couple of their famous donuts before making the journey back down. Experience the incredible rock formations at Garden of the Gods. We'll travel 1,000 feet below the Earth's surface to explore the Mollie Kathleen Gold Mine in Cripple Creek. We'll visit the Colorado Wolf & Wildlife Center in Divide, CO where we'll have the chance to have a "meet & greet" with a wolf. In addition, we'll see entire packs of wolf rescues and other wildlife. Tour the United States Air Force Academy including an inside look at the stunning chapel. Have a snowball fight in the middle of July along Trail Ridge Road in Rocky Mountain National Park. Spend a day at Royal Gorge Park and experience the world's highest suspension bridge and the world's steepest incline railway (different than a cog railway). 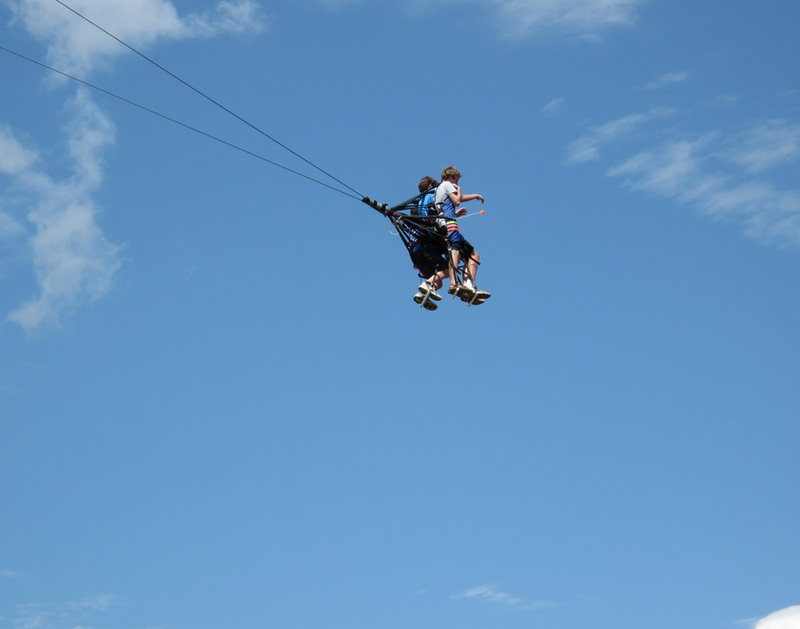 If you're willing, you can take a "flight" over the gorge on the Sky Coaster. 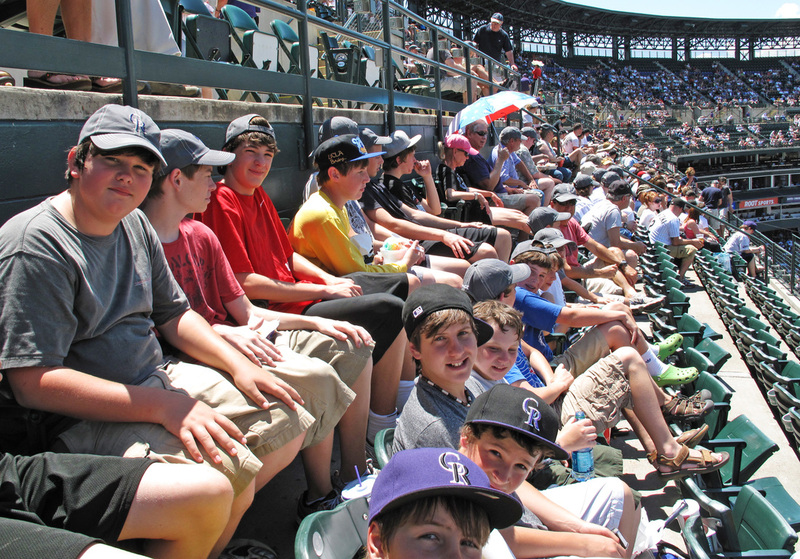 If the timing is right, we'll go see the Colorado Rockies play (MLB) at Coors Field while we're in Denver. You'll get to tour the Olympic Training Center in Colorado Springs. We'll visit the historic district of the old mining town of Victor. From there we'll scout out some real ghost towns. Enjoy a horseback trip (optional) for an hour or so along the edge of the national park. We'll kayak on Grand Lake (flat water) on the western edge of the national park. Experience an old-fashion penny arcade in downtown Manitou Springs. This place has plenty of classic arcade games, many dating back half a century or more. Kids love it. See lots of Western wildlife with opportunities to see Rocky Mountain bighorn sheep, elk, deer, coyotes, and maybe even a black bear. And other activities still in the planning stages. The fee for this trip is $3100. This includes all local transportation, all lodging, all meals, all activities, all admission fees, guide fees, and some snacks. 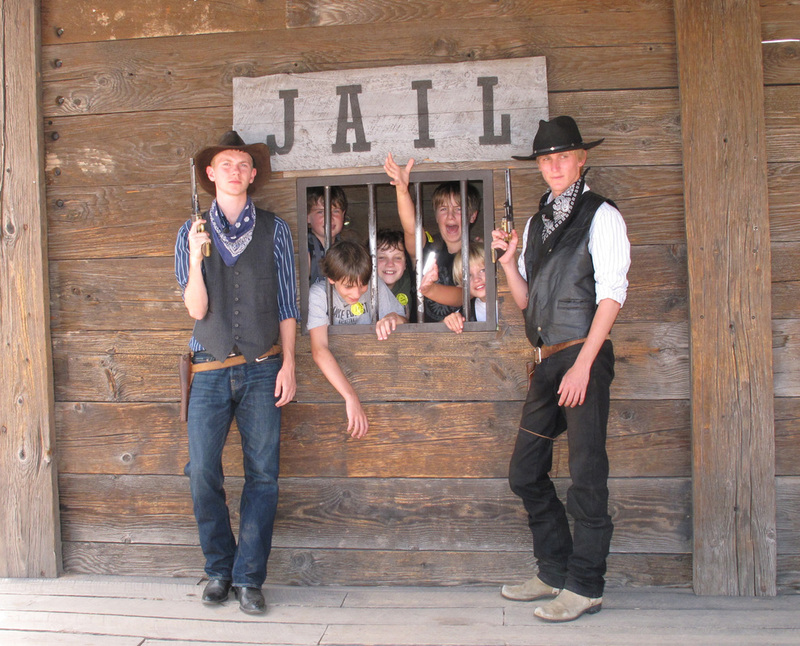 Boys will need some spending money for souvenirs and excess "junk" food. Airfare is not included in the trip fee. We usually fly out of Greenville though we occasionally use the Charlotte airport. We'll plan to take in a game at Coors Field in Denver if the Rockies are playing at home while we're in the area. 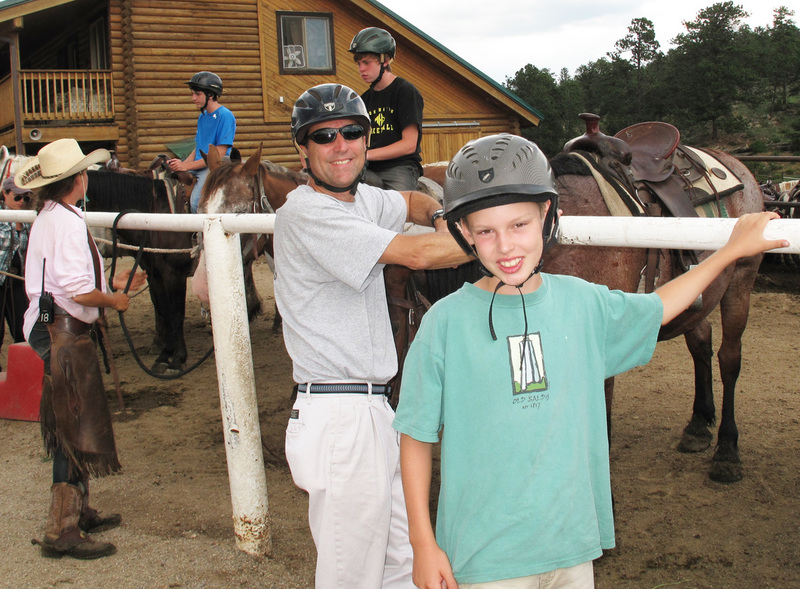 Getting saddled up for an optional horseback ride. Checking out the view from Clingman's Dome in the Smokies. If you want to have a great trip but don't want to fly or if you prefer a week of adventure rather than two, then consider our North Carolina Mountains trip. Or, if you crave adventure, why not do both? We'll leave right out of Greenville and in just a bit over two hours we'll be enjoying our first activities. Click to learn more about this amazing opportunity. A couple of MTA "campers" getting ready to descend over 1,000 feet before the Earth's surface for a gold mine tour. You'll get your chance to view Olympians in training at the US Olympic Training Center. The cog railway ride up to the top of Pike's Peak is an enjoyable way to take in the scenery at over 14,000 feet above sea level. We'll visit and tour the US Air Force Academy in Colorado Springs. An elk will be just one of the animals we'll be looking for during our travels. Ever wanted to pet a wolf? We'll give you the chance. Words can't describe the Sky Coaster at Royal Gorge Park. Neither can this photo! Yes, occasionally this does happen! Click for the online application.